Interested in data science but do not have the background knowledge? Or maybe you wish to learn more? Fear not for we are holding a free Info Session! 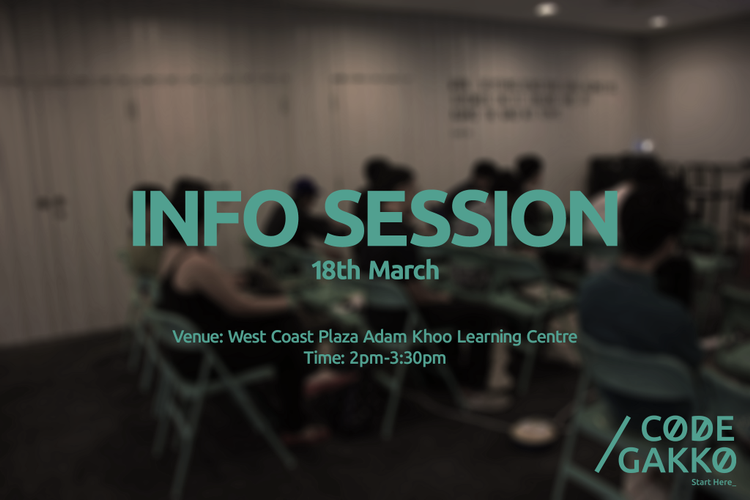 During the info session, we will be going through some basic concepts of Data Science such as regression and classification, data models, applications of data science, as well as a live demonstration. Interested participants can sign up at the CodeGakko website. Bring your friends along and we look forward to seeing you there! Feel free to contact us for any enquiries at info@codegakko.com or you could check out our website.